Located S 1st St. 1 block west hwy 13 Colby, WI Coordinates Lat N 44:54':402" Lon W -90:18':987"
At his father's cheese factory about one mile south and one mile west of here. Joseph F. Steinwand in 1885 developed a new and unique type of cheese. He named it for the township In which his father, Ambrose Steinwand, Sr., had built Clark County's first cheese factory three years before. 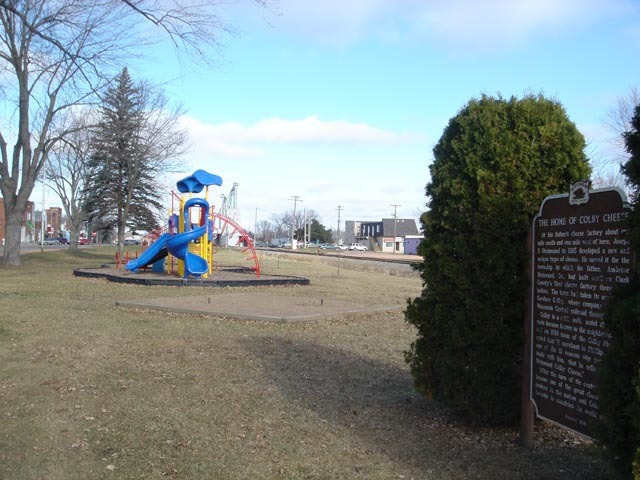 The town hall taken its name from Gardner Colby, whose company built the Wisconsin Central railroad through here. Colby is a mild, soft, moist cheese. Its taste became known In the neighboring areas and an 1898 Issue of the Colby Phonograph noted that "A merchant In Phillips gives as one of' the 13 reasons why people should trade with him, that he sells the genuine Steinwand Colby Cheese." 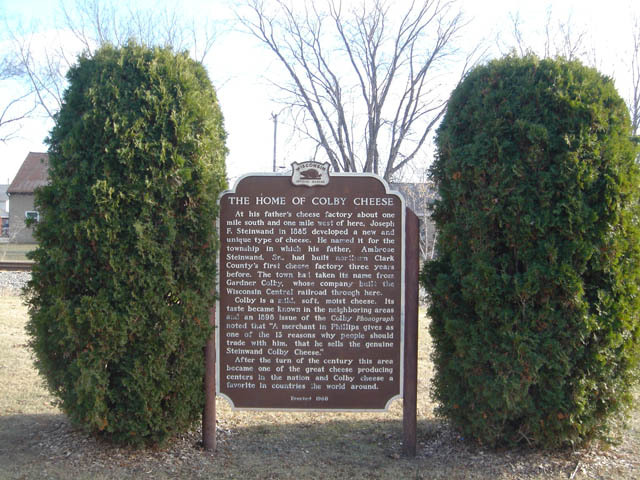 After the turn of the century this area became one of the great cheese producing centers in the nation and Colby cheese a favorite in countries :he world around.